Thanks to Betty Rimmer, Mr. Whiskers, Holliewood and Rucola Designs. Wonderful magical fantasy art work! I love it when your Muse is busy, Christine! This is a magnificent piece of art. The colours are so rich and the design is superb. A standing ovation from me. Oh wow, there seems to be a story waiting to be told behind this one, Chris. I like how the cat is keeping out of the way too. I love this! This is very creative work; well done! 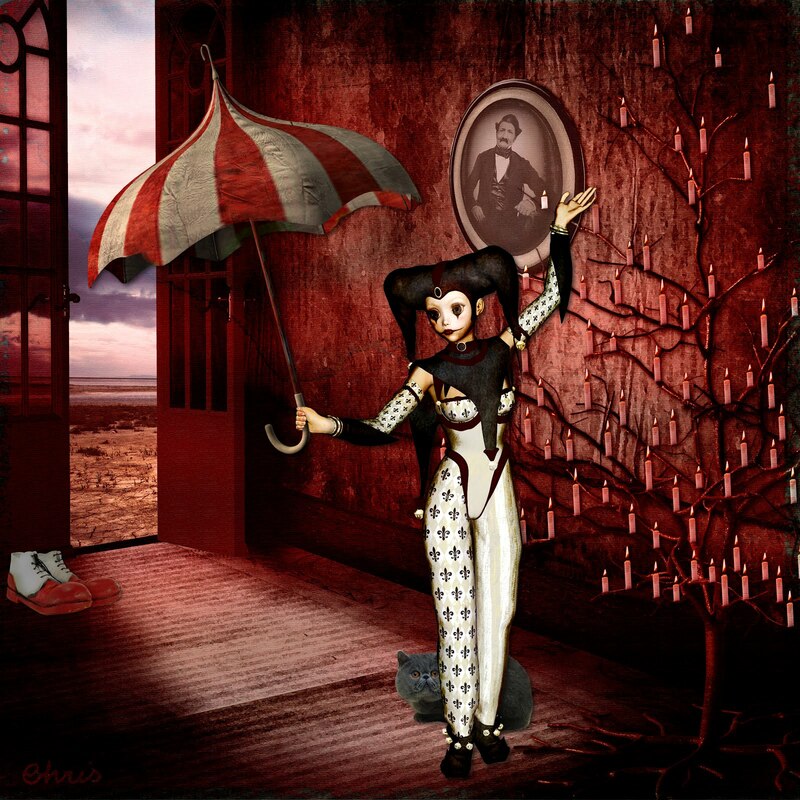 This is really special, Christine, from the striking little umbrella girl to her surroundings. BRAVO x many! Beautiful, dark and surreal a wonderful collage my friend love it. I love the feeling you have created with this, Christine! A fabulous flight of fancy! You got real creative here and everything about this is fab.